Originally designed as a recreation of the pickups in the '59 Les Paul Standard that defined the raw, rebellious sound of Texas blues-rock. The Pearly Gates is sweet, but slightly rude, with great sustain and a bright top end that make harmonics jump out of the guitar. Comes with four-conductor hookup cable. - For brighter toned instruments. Works especially well with maple and ebony fingerboards. Also works great with hollow and semi-hollow body guitars. 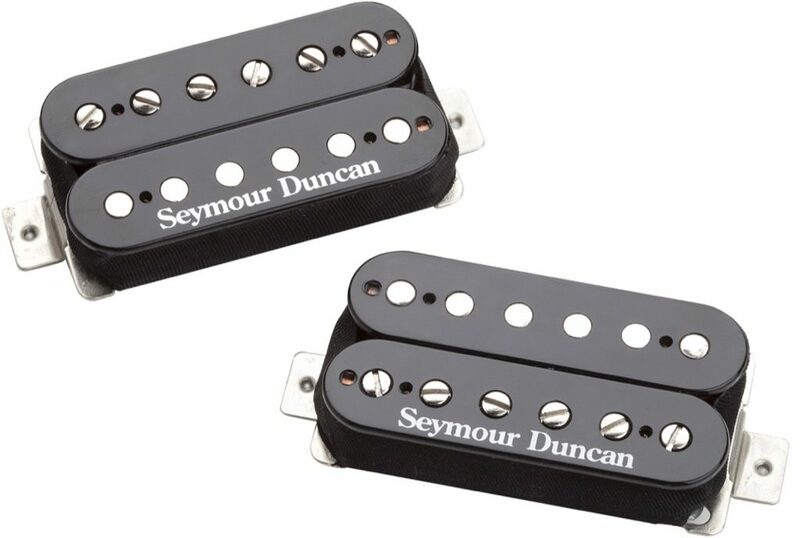 - Warm, slightly-hotter-than-vintage humbucker. Great for blues, classic rock, southern rock, jam, and hard rock. Overall: These pickups totally rock. The meaty "vowel-type" sounds I get on my Epiphone Les Paul through my Marshall MG15 mini stack is about the best it gets in my living room! I highly recommend these. If you like the screams, screeches, hoots and growls produced by the LP/Marshall combo, you'll LOVE these!!! !